Hello world! 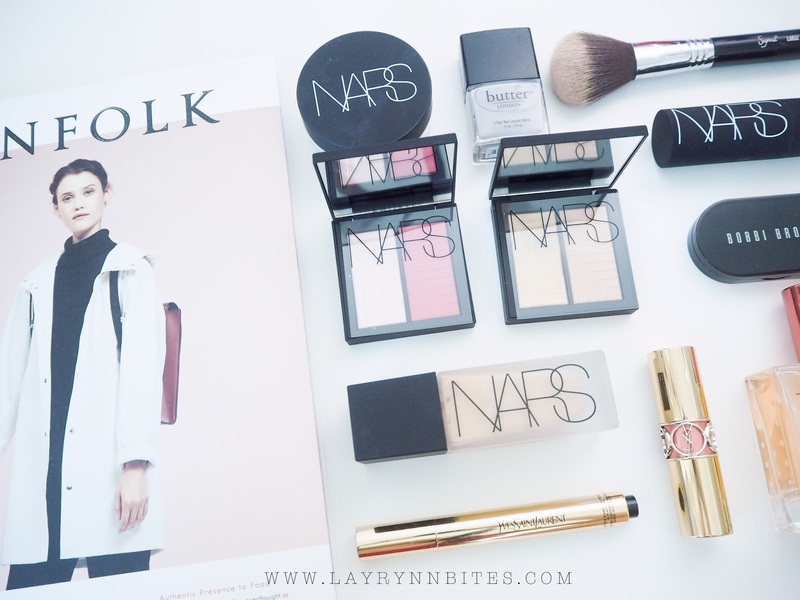 Back with another beauty post today. 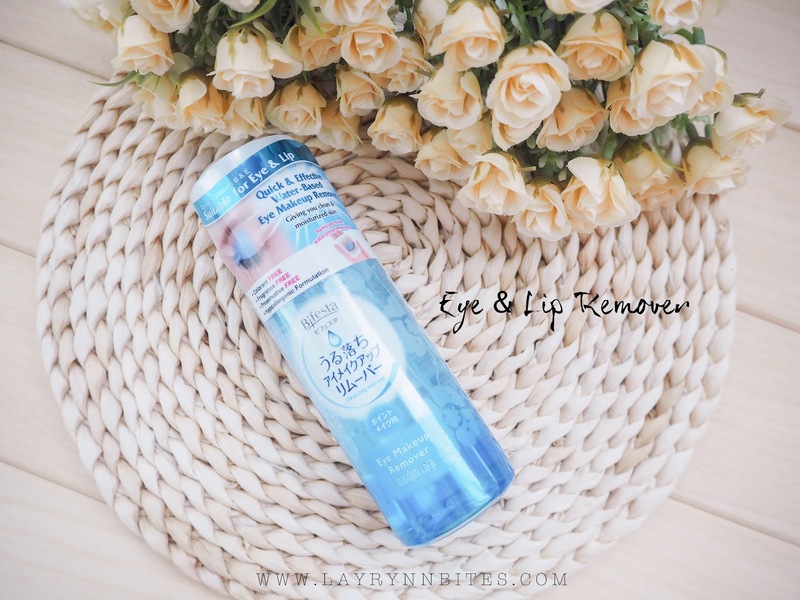 It's a lil special that I'll be talking about Make Up Remover in this post. To be honest that, having make up on everyday is a burden for our skin. Choosing the suitable and correct make up remover. I've received a complete set series of make up remover from Bifesta few weeks back in my mail box. Truly blessed that I could try and tested all series of their make up remover! 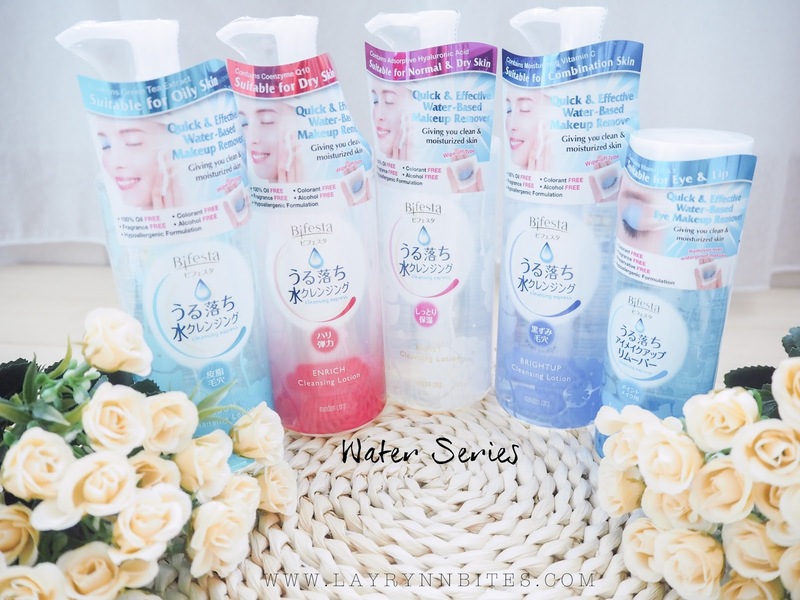 Japan's No 1 Water Based Make Up Remover Series. 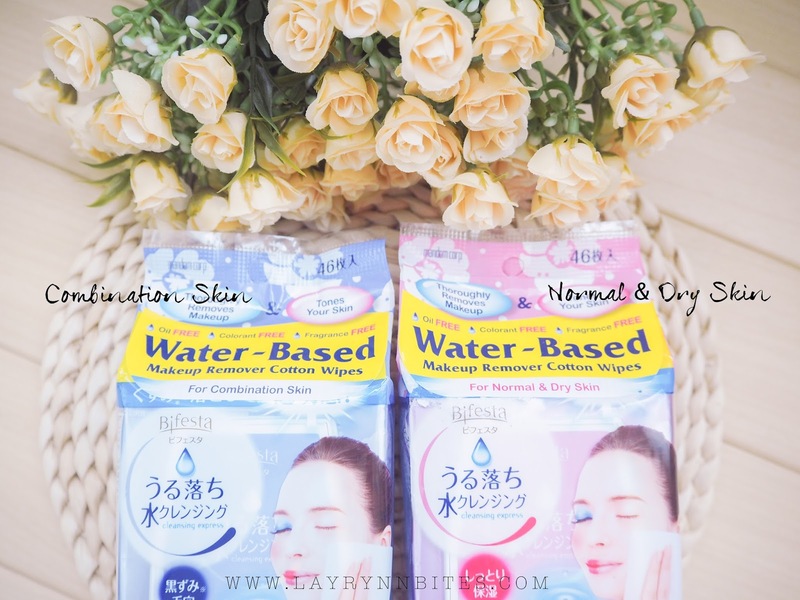 Bifesta are very specialised, because they only produce make up remover in their product line! Plus, all their series, it's about WATER. To be honest, I hate oil make up remover. It sting my face easily during the time I having acne and sensitive skin problems. I always feels like pouring the whole cooking oil on my face when I removing my make up every time using it. Plus, I could not remove my make up while wearing contact lens, it will blurs my sight for the whole day! It's totally a disaster for me when I'm going to changing my make up look for the day after my dates. It works perfectly amazing for a dry skin people like me! My skin feels really gentle after I rinsed it with water! cause most of the make up remover did not have clear explanation and details for which skin condition are suitable for the products. 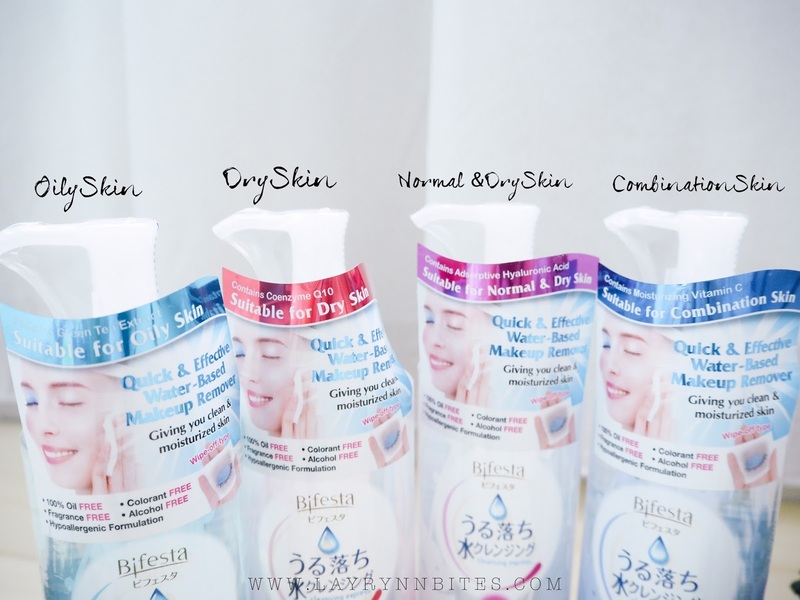 But for Bifesta Cleansing Lotion series, they stated so clearly emphasise all the skin condition! It is really convenience and quick for me in making correct decision! Did I mention that this Cleansing Lotion Series are no rinsing required? can removed our make up without scrubbing and it contains ample moisture while we are cleansing it! Before getting the correct make up remover, you'll need to understand what's your skin condition. Oily Skin - Shiny and thick complexion, enlarged pores, easily have pimples, blackheads and other blemishes. Dry Skin - Dull complexion, easily have red and dry patches, more visible lines and less elasticity. Normal & Dry Skin - Radiant complexion, barely visible pores, clear and smooth texture, just sometimes having some dry patches. Pick your choice for which skin condition easily with no hesitation! Oily Skin - Sebum : With green tea extract to reduce pore size. Dry Skin - Enrich : With Co-enzyme Q10 for rich moist & provides sleek, bouncy & elastic skin. Normal & Dry Skin - Moist : With double moisturising ingredients to retain skin moisture & high moisture effect. Combination Skin- Bright Up : Removes dead skin cells, dirt from pores & improves skin clarity. Simple and clear details behind the bottle! This is the new series of their make up remover. 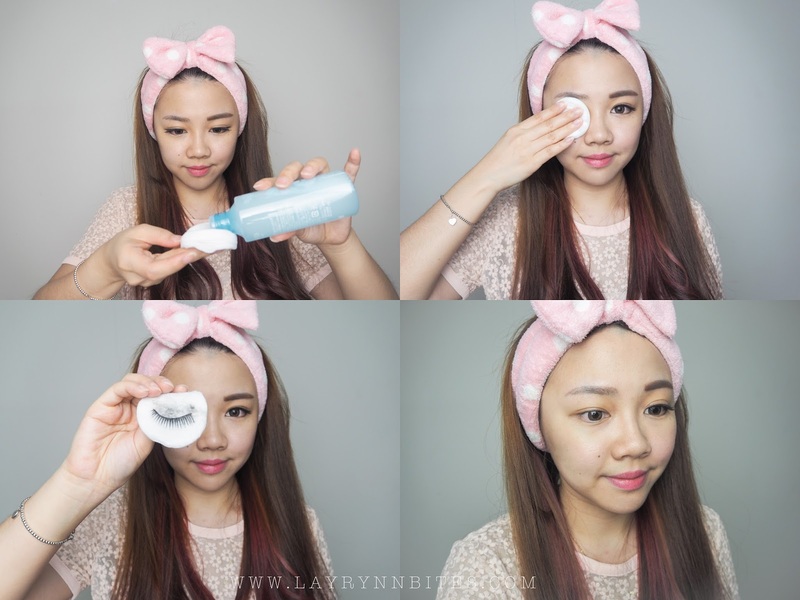 You can remove your entire make up with no additional cleansing steps needed! Get to bed as soon as you done removing your make up. Specially design the seal plastic cap to retain the moisture of this cotton wipes remover! 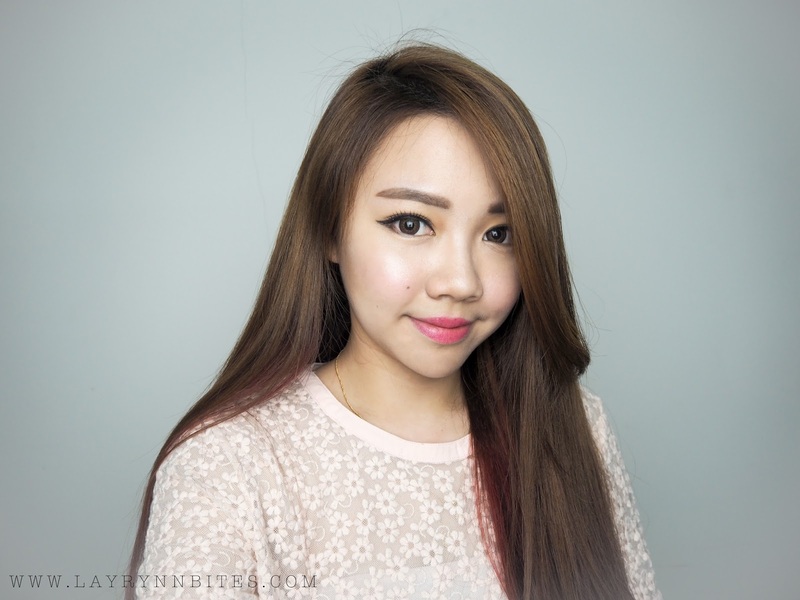 Dual effect of water and oil layer, plus they derived it from facial toner too. Surprised that although it is dual effect, but you can't feel the oil layer while removing your make up! Remember to shake well before using it. Let's started with our try and tested! I'm gonna try and tested the products that suits my dry skin condition to remove half of my make up. Below steps are how I remove my make up daily. by exclude my eye area as I will be using eye & lips remover later on. to ensure that there are no make up left on my face before I went to sleep. Plus, Bifesta cleansing lotion remover contains ample moisture which derived from lotions, so I could head to bed with no rinsing required! The last step to remover my make up completely! Using the eye and lips remover, sat them around eye area / lips area around 5-8 minutes to remove your make up! Sat it longer if you're wearing waterproof mascara / eyeliner / fake lashes. I only removing half of my make up to see the clear result. The wipes remover sheets are really big that could remover heavy make up by only using one sheets! Very gentle and most important is I did not feel very oily the next day when I woke up from my sleep. I'm amazed with the result by not washing my face after removing my make up! They do not sting my eye or lips as I have crack lips problems. Plus they did not blur my eye sight after removing my make up with lens on! 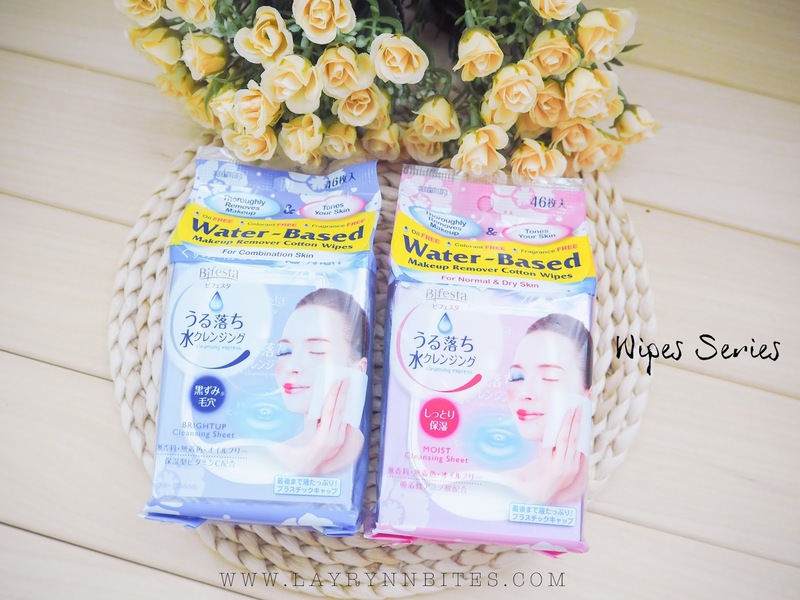 After all the try and tested, to be true that I really love this whole water series of Bifesta make up remover! 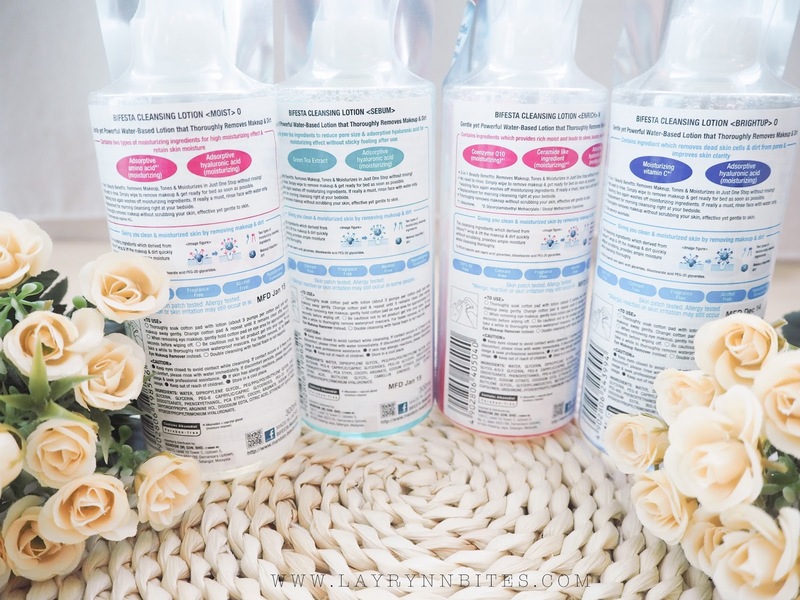 If you're changing or trying new make up remover, remember to try em out! 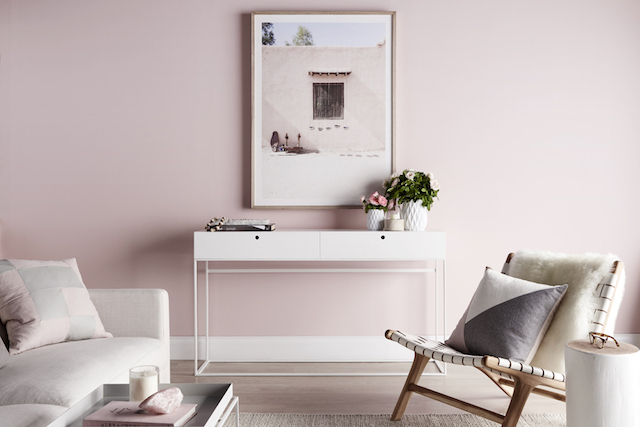 Pinky promised that you'll love it. 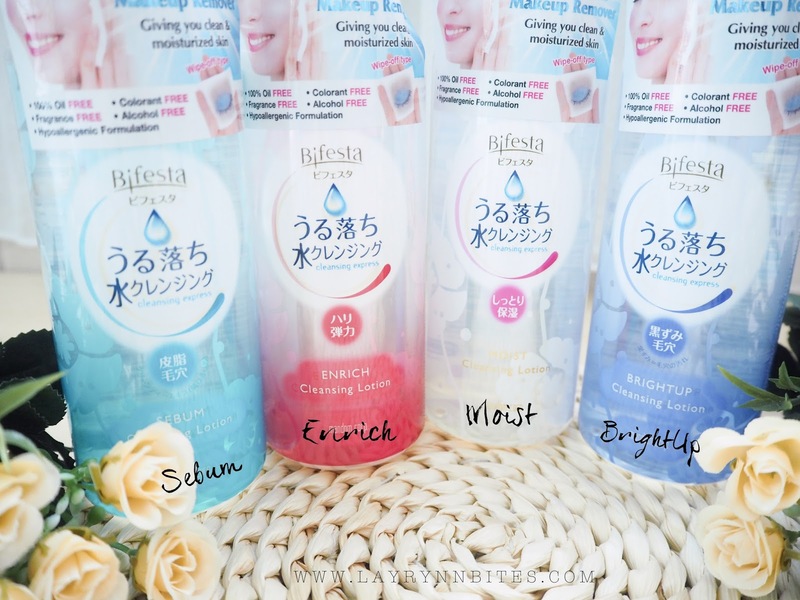 You can get all Bifesta series of make up remover at Sasa, Watson & Guardian in Malaysia. Can you share me How to Remove Pimples especially for men’s skin tone?